The NFU Cymru Council has unanimously elected Powys beef and sheep farmer John Davies to replace outgoing president Stephen James. Mr Davies will be joined at the top table by new deputy president Aled Jones, a dairy farmer from Mid-Gwynedd. During his time in office, Mr Davies said he wants to ensure Welsh agriculture gets a good Brexit deal; tackle bovine TB; address water quality in Wales; hold retailers to account on food labelling; ensure a fair price for everyone in the food chain and create greater opportunities for the next generation of farmers. “I am looking forward to the task of leading the union over what is sure to be a challenging time for the agricultural industry in Wales as the UK negotiates its departure from the European Union”, he added. 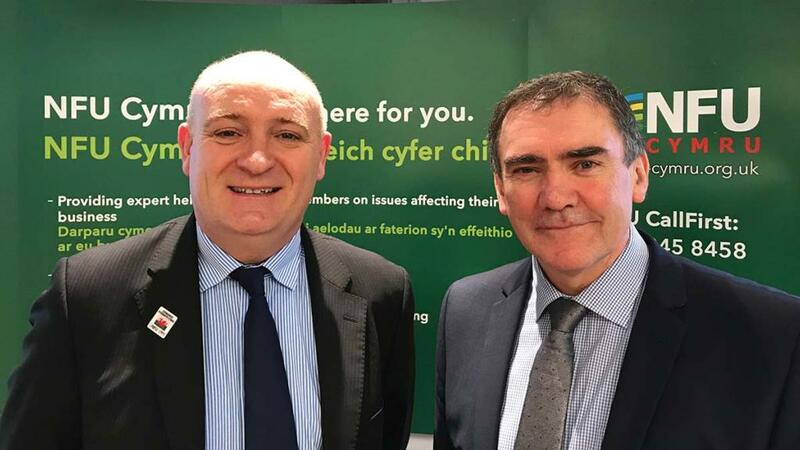 Deputy president Aled Jones, who is currently chairman of the Cattle Information Services and a member of the Welsh Dairy Leadership Board, said he was ‘honoured and deeply humbled to have been elected’. “I look forward to working with John and the NFU Cymru team over the next two years”, he added.